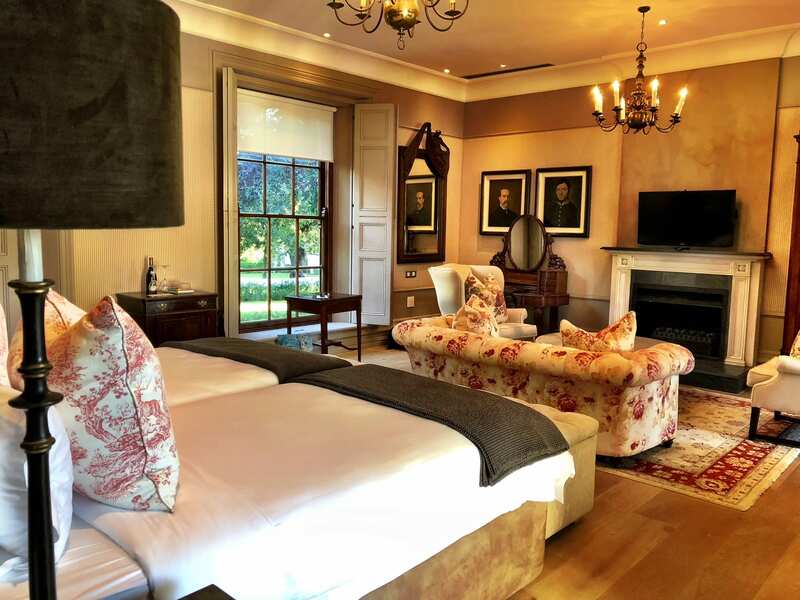 Win an overnight stay at the reimagined Lanzerac Hotel & Spa in Stellenbosch | Eat. Play. Drink. Cape Town. JUST over a year ago, a devastating fire destroyed historic buildings at Lanzerac, but also peeled away decades to create a canvas for its glorious restoration. The hotel reopened on July 1. “We haven’t recreated it, we haven’t modernised it – we have reimagined it, and it remains very true to the heritage of the property and the memories people hold,” marketing manager Jo-Anna Looms told me. 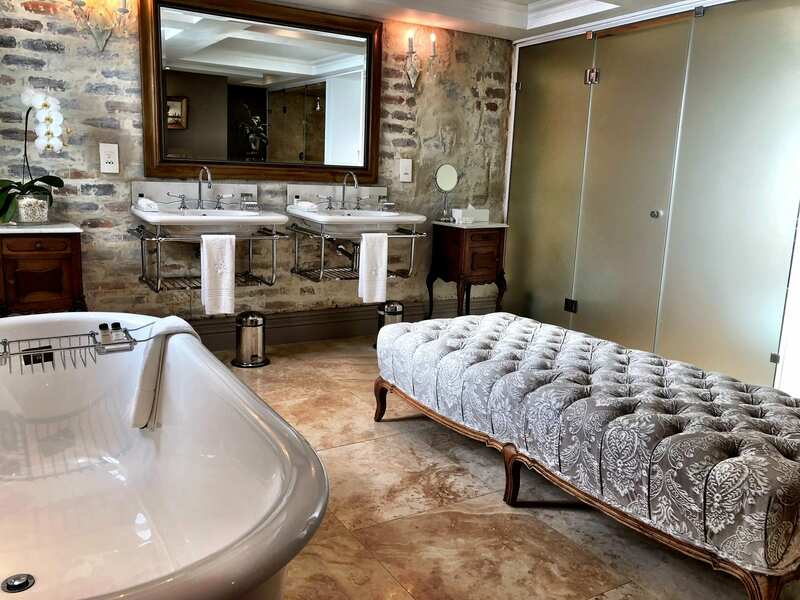 I’ve stayed at Lanzerac many times over the years, and it’s always been an exceptional experience. I was amused to learn they keep a file on me – as with all regular and returning guests – so there is a record of every room which I’ve occupied…never the same one twice. And no two rooms are the same, either. Meet Con van der Colff, the project co-ordinator in charge of the renovations, external aesthetics including the gardens and curation of the interiors. Con has a multi-layered background as a designer, builder and interior decorator offering him an exceptional skill set to look at the project holistically as he and his team tackled this mammoth task. “These guys, from the bricklayers, the plasterers, the carpenters and painters – even the labourers pushing the wheelbarrows and mixing cement in the rain – they are the people that made it happen and we have to recognise it. These people are extremely proud of what they have done,” says Con. Room renovations were in progress well before the fire and Con’s unique style reflects the history of the estate, blended with carefully balanced contemporary influences. But Lanzerac does not only have Cape Dutch history; the extensions to the Manor House were designed by English architects based out of Sir Herbert Charles Baker’s office in Cape Town. This gives Con the opportunity to source furniture and fabric influenced by both cultures. He’ll typically begin with a centre piece and organically build the rest of the look and feel of the room around this focal point. Nothing is bought from a catalogue. Local artisans are commissioned to design and craft all replacement fixtures like window frames, signed and dated for posterity. And no room is the same as another, not even in terms of physical dimensions and each item is procured via antique dealers and auctions. This means no matter how many times you spend a night here, you have 53 chances to have a unique experience. 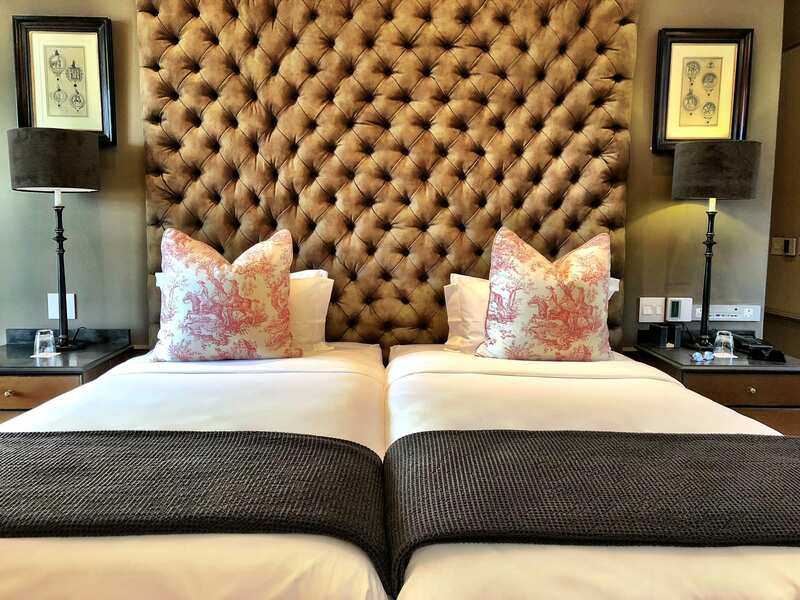 A lucky Eat Play Drink subscriber can win this amazing July prize: a one night stay for a couple in a luxury room inclusive of breakfast and a wine tasting experience. The voucher will be valid for travel from the date of issue until December 1, 2018, and is valued at R7000. All you have to do to be in the draw is sign up here as a subscriber, and you’ll receive email notifications whenever there are new posts to read. Yes please! Would love to see and experience the refurb. We got married at Lancerac in 2001 and it would be such special anniversary bonus to celebrate it again there. Oh wow, Lydia! Have you visited since then? Wow perfect breakaway for my 51st birthday in August. Dreaming! this would be lovely as me and hubby we will be celebrating our annivessary and since we got married 5 years ago we never did anything. This would be so amazing for my birthday on the 24 July and would love to take my little daughter with me, it would be amazing time for us together. What a treat it will be to win this wonderful stay. It’s so beautiful! Would be a real treat to stay there! Wow! I would love to visit the “new” Lanzerac! I still have the images in my head after it all burnt down, so devastating! I am curious to see what it looks like now. Would love to win this experience! Looks amazing. Pick me please! Wow. This place really looks spectacular!!!!! This one has my name on it. And oh yes, the Pionier Pinotage for room-service, please. Highlight of the year to be a winner of this once in a lifetime opportunity. Awesome prize. Would love to win this! Amazing prize, would love to be the lucky person. Wonderful prize – will be an amazing treat and experience! Was at the spa in june with te korean delegation- spa was absolutely amazing and room 11 was superb. Stayed at the Lanzerac in 2001 as well and found out that we having our first baby! Would love to see how it’s changed spent my wedding night there a few years back… best night ever!!!! The Phoenix arises! 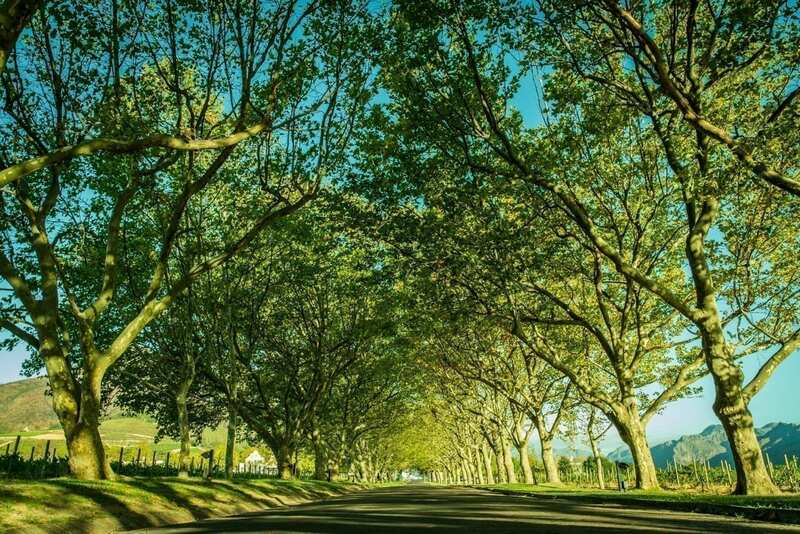 Lanzerac has been one of my favourite winelands places since I was a UCT student many moons ago when we used to spend many happy hours on Saturday afternoon in the cellar. And more recently hosting the Red Cross Children’s Hospital Trust Circle of Life supporter teas. So glad it’s on the mend after the fire. What a fantastic place. Would be perfect to celebrate our 42nd wedding anniversary in August. Ek sal so iets so waardeer, ek kort ‘n lekker bederf. Sounds like a perfect breakaway for me and my wifey. I remember visiting the Lanzarac as an engineering student for “koffie Klas”, of course no coffee was consumed there. Also in winter they had the most wonderful soup and bread lunches for R5! It was a lot of money those days for a student, a special treat. So please sign me up, the prices won’t be the same, but the the memories and experience is what counts. Yes please. Turning 30 this year, with our first little one on the way 🙂 🙂 This prize will be super special! Could definitely use a night away to rest and recharge. Radio life is hard!!!! Would love to win this to spoil my wife. Would love to win this for my husband and I, haven’t been on a holiday in so long. 7th August we shall celebrate our 42nd wedding anniversary so Lanzerac would be the perfect place to celebrate it. I’d love to treat my daughter to this awesome giveaway. She’s been working so hard with her company being taken over by new ownership and she’s had so much stress and worries to deal with, so she deserves a proper break. Lanzerac would be absolutely perfect for her to recharge for another year of brilliant customer service. Lanzerac is back in all it’s beauty!!! Cannot wait to see the new Lanzerac. Sunday lunch at the restaurant in summer is a favourite memory. My family and I would love this!!! This would be a dream-come-true for a super-tired soul like me……Thank you for this beautiful giveaway!